I’ll take a dozen U.S. Senators please. 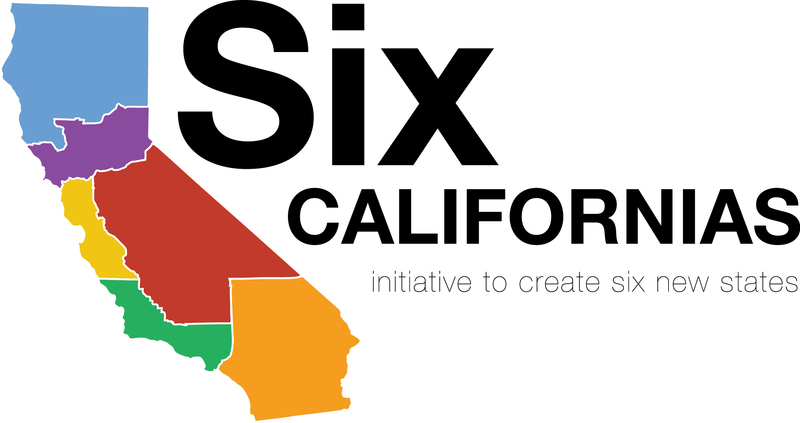 Having worked on the failed 2009-10 California Constitutional Convention campaign, several friends have recently asked me to comment on the proposal to split California into six different states. Here’s the background: Last December, venture capitalist Tim Draper filed a petition to circulate for signatures a ballot measure which, if passed by the voters, would slice this California roll into six delicious pieces. Last week, the measure was given Title and Summary from the Attorney General, meaning the petition is now clear for circulation. To qualify for the November 2014 ballot, the petition has 150 days to collect 807,615 signatures from registered California voters. In the coming months, get ready for a paid signature gatherer to shove the this petition (third from the top) in your face while you walk through the Whole Foods parking lot. Read the full initiative language here. So, is splitting California up into six (or any number) of other states a good idea and, if so, could this ballot measure actually get it done? Let’s start with the second question first. According to the U.S. Constitution, California may only split up with Congressional approval (something the ballot measure acknowledges). This is exceedingly unlikely for two reasons. First, because it would require 66 Senators to vote to reduce their own power by diluting the Senate with an addition ten votes (more on this in a moment). Second, this is Congress we’re talking about. But let’s assume we woke up tomorrow morning and California was suddenly and irrevocably split into the lines conceived by Mr. Draper. What would happen? Most immediately, the people of the new States of Jefferson and Central California (Redding, Shasta, Fresno, Bakersfield, etc.) would find themselves a whole lot poorer as the people of the new States of Silicon Valley and North, West and South California (San Francisco, Silicon Valley, Los Angeles, San Diego) shed themselves of regions that consume more tax revenues than they produce. The roads, schools and social services in California’s rural regions would deteriorate, while the wealthy urban coastal regions would get a financial boost. But all the money in the world won’t do much good without water, and here’s where things get interesting. Jefferson wins big, seizing control of California’s three largest reservoirs (Shasta, Oroville and Trinity). Silicon Valley would lose the high-quality Hetch Hetchy and Mokelumne River projects to Central California, but would gain the Sacramento-San Joaquin Delta pumping facilities, arguably the biggest prize of them all. These facilities can pump way more water than the new Silicon Valley will ever need, so the techies will be in for making a nice profit selling their excess water to Central California farmers and Southern California’s cities. At least the farmers could mitigate some of these costs by leveling a fee to wheel that water through through their portion of the California Aqueduct down to Los Angeles, who (shocker) loses big. Virtually every drop of water Los Angeles’s desert existence relies on is now located in another state. At least the San Dieagans (San Diego-ins?) get the Colorado River. Meanwhile, the rest of America is none too happy. Where there were once two U.S. Senators (both Democrats) representing California, there’re now a dozen. As many as nine of them could be Democrats, obliterating any chance of the Republican Party, in its current form, to control the US Senate. In retaliation, the Republican Party pressures the Texas State Legislature (dominated by Republicans) to immediately divide Texas into five different states which, unlike California, Texas has a vaguely understood unilateral right to do under its 1845 Annexation Agreement. Seeing their relative power in the US Senate sharply decline, the Governors of New York and Florida (the next most populous states) demand their states split as well. One by one, the United States plunges into a Constitutional Crisis. But this is all collateral damage. What, if anything, could California gain? Mr. Draper claims he’s motivated by the belief that California has become ungovernable. From schools to roads, Californians suffer a Yosemite Valley-sized gap between the taxes we pay and the services we receive. But it’s unclear how partition would help, and in the poorer areas of the state it would very likely make things worse. In fact, Mr. Draper, 2009 called, it wants its rhetoric back. California voters have enacted significant budget, political and tax reforms since the blockbuster deficits and budget stalemates of the early 2000’s. California’s legislature has now passed on-time budgets three years and counting, while last month Governor Brown announced that the state was projecting a once-unimaginable $6 billion budget surplus. The Bay Area is experiencing an economic boom, and the housing market is finally recovering from the devastation of 2008. Unemployment is still relatively high, though that’s partly due to the drought’s negative impact on farm labor. And yet, for all its faults, partition would at least strike an honorable blow against one of the great inequities of American democracy: the U.S. Senate. As we learned in high school civics, the Founding Fathers were able to bridge the political distrust between the large and small states through the creation of a bicameral legislature consisting of a House of Representatives elected from districts of equal population (proportionately benefiting the large states), and a U.S. Senate consisting of two Senators from each state (disproportionately benefiting the small states). The House was to reflect the popular passions of the people, while the Senate, as George Washington explained, would cool those passions like a saucer cools tea. Tragically, Washington died before ever explaining how a saucer actually cools tea. Here’s the rub: Americans in large states are today proportionately far less represented in the U.S. Senate than their ancestors were. Consider this: the Constitution was negotiated in 1787, when the population difference between the largest state, Virginia, and the smallest state, Delaware, was 12-1. That means an American citizen in Delaware received twelve times the representation in the Senate as an American citizen in Virginia. Today, the ratio is 66-1. Today’s smallest state, Wyoming, is barely larger than colonial Virginia, while the largest, California, is the size of Poland. It’s difficult to imagine James Madison ever agreeing to such an extreme imbalance. Had the Founders agreed in 1787 to index the 12-1 ratio to population growth and decennial reapportionment, we could have avoided this problem. Now that we’re stuck with it, the only likely solution would be a redrawing of all state boundaries to roughly equal size, or at least to sizes within the original 12-1 framework, and that would require a second national constitutional convention. Any takers? Didn’t think so.